What makes an iconic horror movie or villain? What role does the writer and director have in shaping a character that will go on to scare (or at least entertain) audiences for generations to come? These are some of the questions answered in an excellent interview that RocketJump Film School conducted with filmmaker Tom Holland, writer of Psycho II and Class Of 1984. 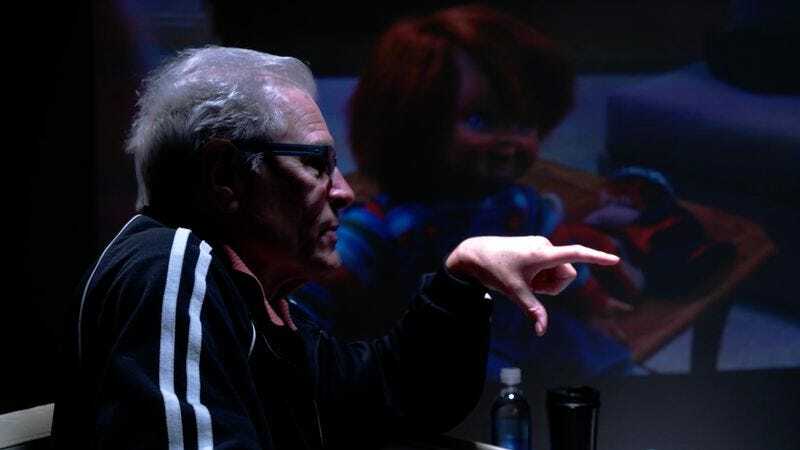 In this candid sit-down, Holland discusses how his career came about and his ideas for arguably his two biggest genre hits, as director of Fright Night and Child’s Play. RocketJump Film School spoke to the legendary director as part of its “Master Class” series about his humble beginnings in the business, how he chose film over law school, and also the origins behind some of his biggest genre hits (perhaps the less said about The Langoliers and Thinner, the better). It’s an insightful interview that sheds light on how people devise what will scare an audience and what about stories resonate with the storytellers as well as the viewers that end up embracing these works.